Did you know that social listening can be one of the most powerful ways to upgrade sales in your company? Here you will find seven ways social media listening can help your sales. Good relationships are much more important than leads when you are going to sell through social media! Qualify your leads from online and make more sales! 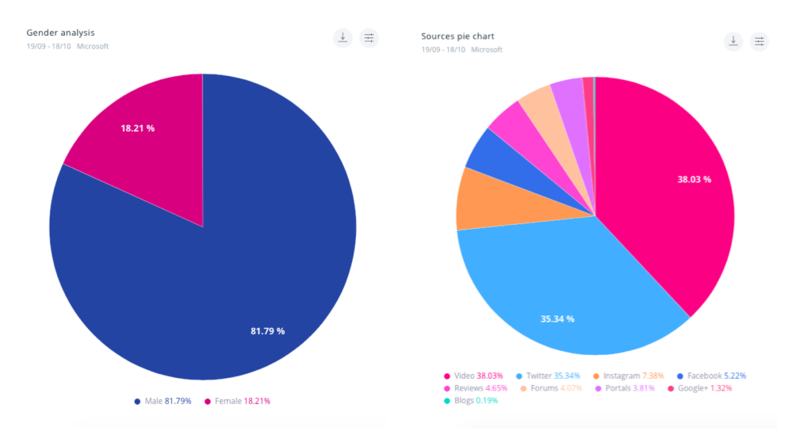 The big difference between social media listening tools (like SentiOne React) and advertising is that monitoring takes a lot more effort, thus it is often referred to in the marketing industry as something between sales, customer services, and PR. Internet monitoring allows you to investigate how your social media communication affects selling leads. Since social media discussions are held in public and can be seen by everyone, you should choose your words wisely. Salespeople see online listening potential in looking for key phrases that express the consumer intents. They find it an outstanding opportunity to casually present their offer while taking part in an online conversation. Most ads will be ignored at social media but the power of social curiosity makes that conversation capture audience attention! That is why you should react and talk with your audience. Convince readers to take action! Driving sales from your social media efforts is about making it easy for your audience to convert into clients. Make as easy as it possible for consumers to click through from your social media page to your website or shop online. If it’s complicated in any step, your potential client will turn their attention somewhere else. So if someone asks about your products online, you should give a clear and simple answer with the link. Check when, where, and how people ask about your products or services and jump into the conversation with them. Real-time alerts can help you to be first with your offer. 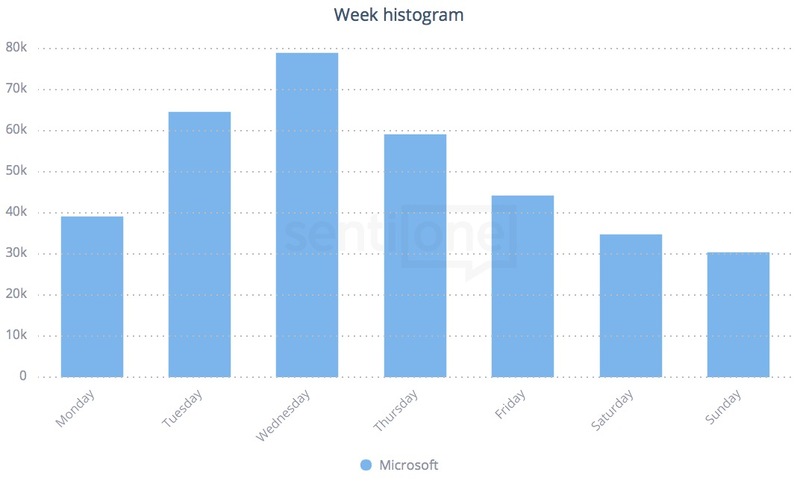 The chart analysis of mentions in time allows you to figure out which months, weeks, or particular days of the week are the most popular with mentions in a selected market or for a specific brand. There’s more, you may check which hours are the most popular in selected topics. Besides, if you set up keywords properly and analyze mention dynamics, you may discover regularities applicable to the best time for marketing communication. The system monitors social media as well, which means you get precise data on post mentions with keywords that have the most influence on your sales, predicting the best time to address their needs with your product information. Thanks to hourly histogram functionality there’s a chance to figure out general tendencies of certain keywords appearing online in specific time periods. This information might be valuable especially to those who are responsible for sales in your company. You don’t need to have a social presence on every single social platform, but you do need to have a strong presence on the platforms your audience (potential target group posting about your trade) is active. Localizing potential clients and taking part in discussions with your target group is an excellent beginning of sales process. Direct approach based on a true relationship is considered one of the best means to convince the audience and determine their choices regarding your brand. Public online statements are unbiased, which makes them worth much more than any brand-executed survey or questionnaire. It’s no secret that consumer insights are valuable and can be used to plan a marketing strategy suited to the real needs of each target group. Be open and respectful because constructive feedback might be helpful in increasing the quality of your products or service. Promoting your brand online without elementary knowledge on your target is counter-productive. Online listening informs you which type of online communication channels best suits your market, because you can compare their popularity amongst your audience (counting the amount of mentions by source), be it Facebook, Twitter, Instagram or a very specific internet forum. Besides simply tracking sources of discussions which are of some interest to your business, you can actually localize the most popular domains. The system collects data which informs you of how many of your existing or potential clients participate in a specific discussion, and its volume and reach. If you go through the opinions posted online thoroughly enough, knowing what’s what in your field, and look closely at current situation in the company, you can predict what to expect in the next quarter or year. And so, nothing keeps you from getting ahead of your competitor’s online communication activities. Track new trends connected to new consumer needs and expectations, which are on the verge of breakout so that you can upgrade your product or service right away. Armed with the conclusion of data analysis, marketers have the means to surprise or inspire their brand enthusiasts. It’s worthwhile creating connections through social media channels or the company blog. That being the case, online listening may be used to keep an eye on emerging trends and changes in the field and to action building your authority as a brand on web. You should track discussions about products and collect insights. Maybe you will find some tips on how to get new clients. May it be suggestions about packaging or new flavors or something that can be helpful for client service. Influencers are the most popular people online. Usually, they gain this position thanks to speaking loudly on specific subjects, and hopefully to the point. They become experts in their fields of endeavor so their opinions matter to a wide audience which translates to marked influence on consumer decisions and choices. 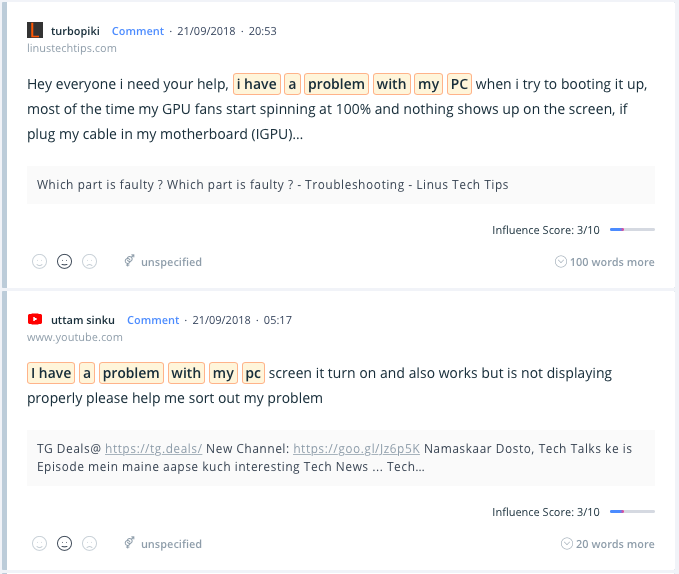 For many entrepreneurs, there’s a big marketing opportunity in collaboration with key people that have substantial authority in online discussions about a brand. For this collaboration to happen, you need to localize these people in the first place. Internet monitoring allows you to find and reach influencers who are crucial to the market. It’s worth knowing that these people are also consumers and engaged users of the product. People who don’t work at your company are often considered more trustworthy by your target group. Their recommendations have, more often than not, far greater impact on buyers’ decisions than any advertisement or campaigns on the web. Brand authority is described as the high recognition of a brand’s ability mainly expertise within its market. How to achieve that? By educating and talking with your audience. It can be easy with social media listening. You should set a project for your clients’ problems and also for general questions from your industry. Engage as a brand in reacting to specific mentions. How exactly? Try to help the Internauts, solve as many problems as you can and show market trends and solutions. Long-term goals for those activities are to build trust and respect for the brand. This is the first step to create a fabulous brand which is loved by everyone. It’s obvious that customers often make purchase decisions because they feel an emotional connection with a brand. Also helpful: research important changes and track global news in your industry. Publish hot market news on a company blog and in your brand social media. You may become the trusted source for your audience. Depending on who your customer is, you will have to find a balance for how frequently and in which formats to post. Post content that makes you the expert in your field. Think in terms of providing information based on what you know and the service your business or products offers. Offer tips and insights such as how to, how not to, what to avoid, how to find the best, what makes it the best, how to fix it, repair it and what you must know. We call it expert positioning. Remember! There is no such thing as posting too many posts… too much content. Remember also that sharing user-generated content, you are showcasing the best content ever! Because it’s built on trust. All reviews by real users are incredibly valuable to your brand. Extra content tip – create a branded hashtag and encourage audience to using it! Then it’s easier to track how news spread. Jagoda Prętnicka-Markiewicz Gained experience in advertising and public relations agencies. She is responsible for planning and implementing communication strategy in SentiOne. Her passion is to get as many consumers' insights and sociological tips in social media data as possible. How to measure and improve the performance of your Customer Service? How to analyze big data? 5 easy steps.